My, how wedding registries have changed over the years. With the combination of ingenuity and Google, registry options are pretty much limitless. Gone are the days of the traditional registries where the couple asks for new china and kitchen appliances, although these are still popular options. You can now ask for things like trips, funding for a house payment, and even donate to charities. 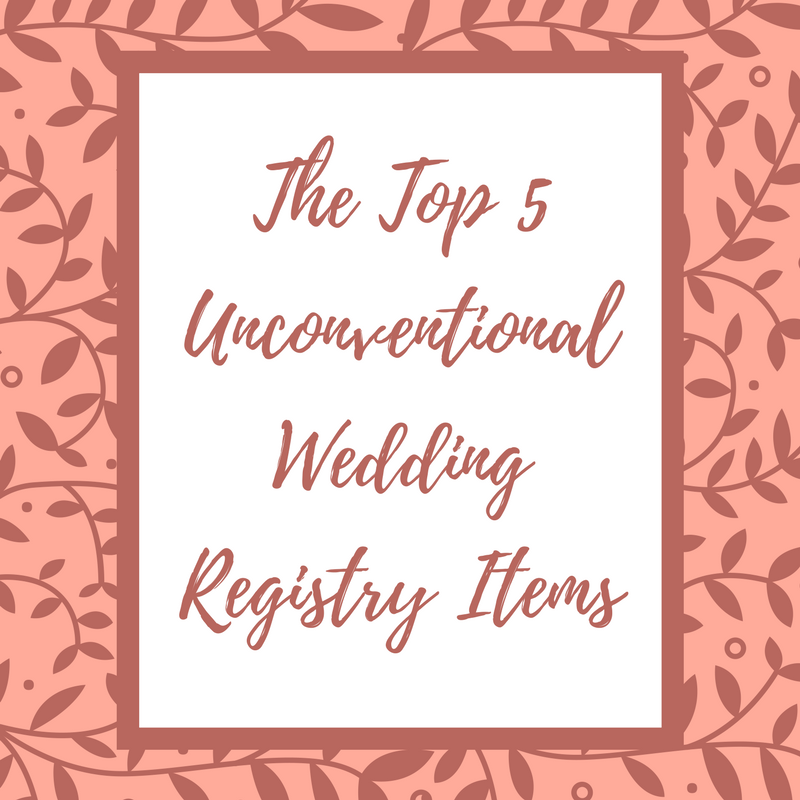 Here is a list of the top 5 unconventional wedding registry items that are quite popular right now. There are many honeymoon registries that help you save enough for the trip or honeymoon of your dreams. Honeyfund is probably the most well-known but some of the major resort and travel chains also offer wedding registry options. Places like Disney even have this option if your dream has always been to go to Disney for your honeymoon. There are tons of websites like MyRegistry.com that allow you to register with pretty much any retailer, all on one to make it an easily-accessible list for your guests. Feather the Nest can be used to ask your guests to help with the down payment for your house or remodeling the kitchen. Many newlyweds are just starting out and their nest egg went to their wedding so this is a great way to give them a helping hand in getting their first home. Charity registries have become increasingly more popular over the last few years. Newlyweds are wanting to use it as a way to give something back. 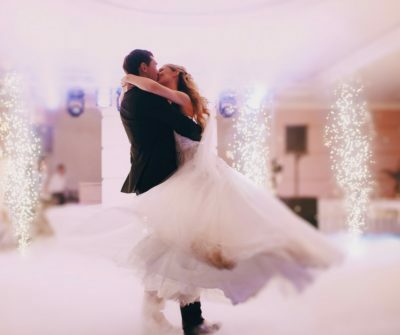 It is fairly common for brides and grooms to choose a specific person or cause to help — such as asking guests to contribute to a GoFundMe for a friend that is ill — instead of giving to larger organizations. This way they know where their contributions went. Zola is a pretty spectacular site that allows you to create your own categories, from traditional stuff so your parents are happy to the gifts that translate to experiences. You can ensure that you still get those few high-end types of china and crystals made by Kate Spade and Mottahedeh, also available at Occasions in Tampa. However, you can also register for things like fresh food deliveries from Blue Apron because who really wants to go grocery shopping after their honeymoon or monthly wine or beer subscriptions. They have a “fund” section where you can literally create any category you like, such a skydiving lessons or horseback riding. The sky’s the limit with this one!